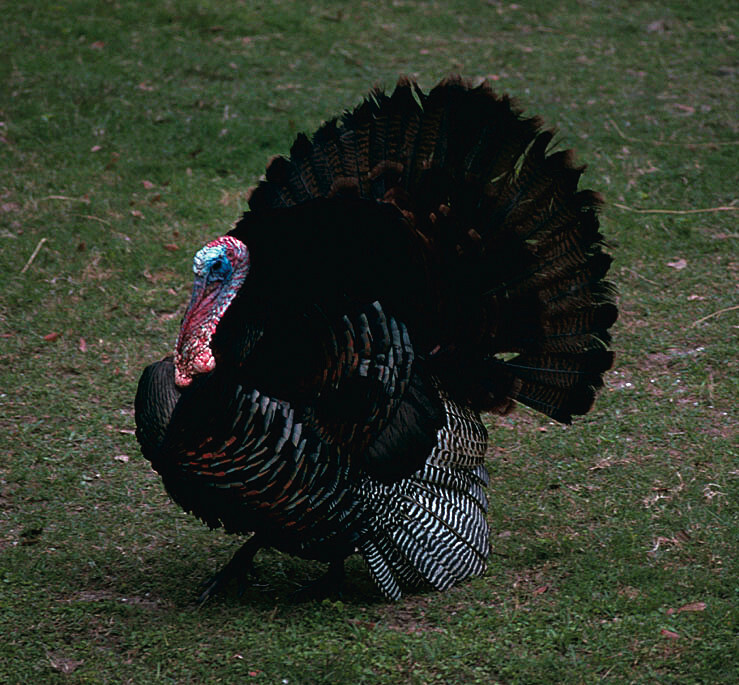 When I first began looking into it, I found a book called The Turkey: An American Story by Andrew Smith (University of Illinois Press, 2006), which follows the turkey – especially as food! 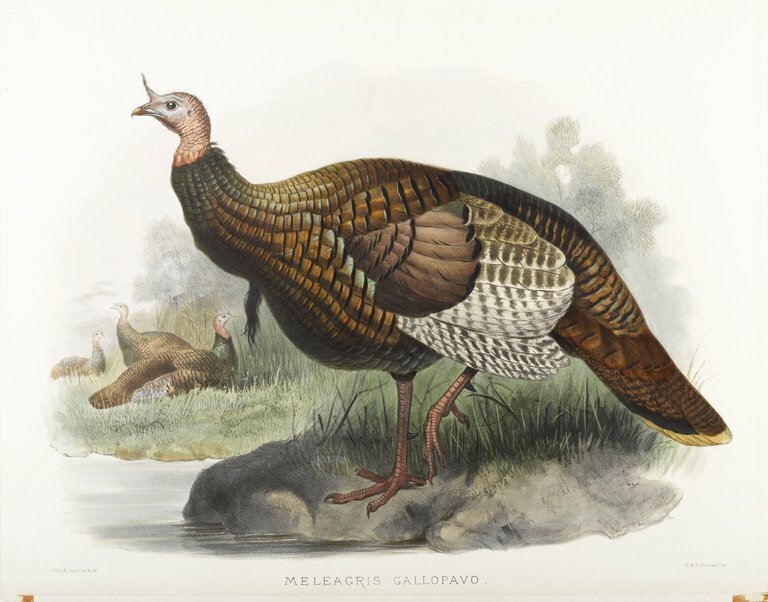 – from its wild origins, its domestication by Native Americans, its transplantations to the Old World and its incorporation into European diets, and its later life as it was subjected to modern farming, breeding, and diet. 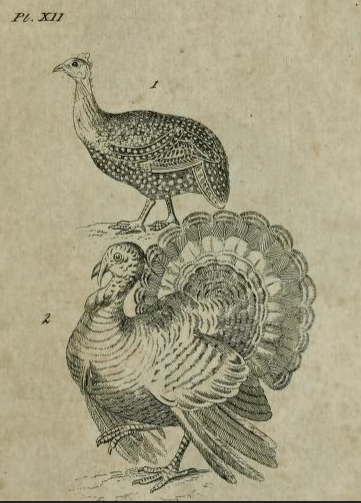 The book doesn’t spend much time with the turkey as a scientific object, but the several pages he did write proved fruitful to finding some of these early images (which he did not publish in the book). Unfortunately, due to limited time, I have not been able to translate any of the writings, and the little I have done has not been interesting enough to include. 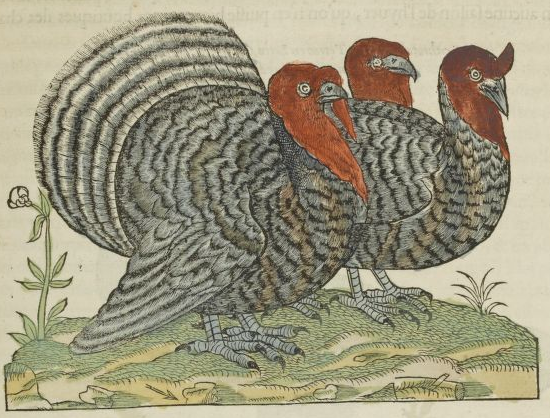 So, what follows is a bunch of images! 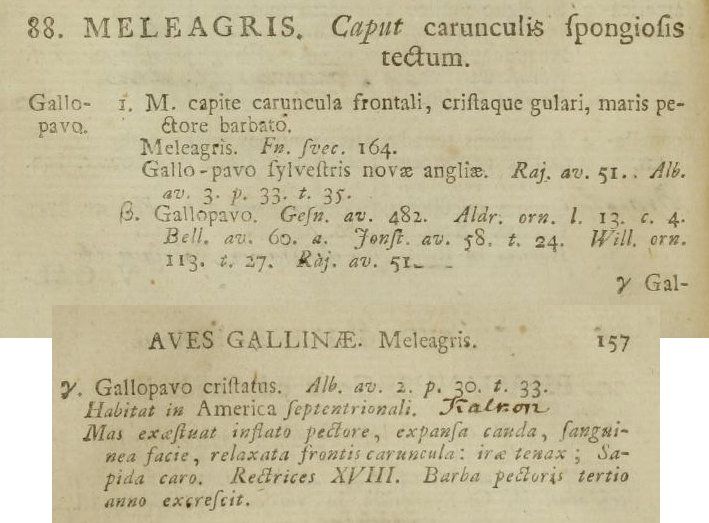 Linnaeus, the inventor (roughly) of modern scientific naming, provided no depictions in his work, but here is a snapshot of when the turkey receives its official scientific (Latin) name: Meleagris gallopavo. 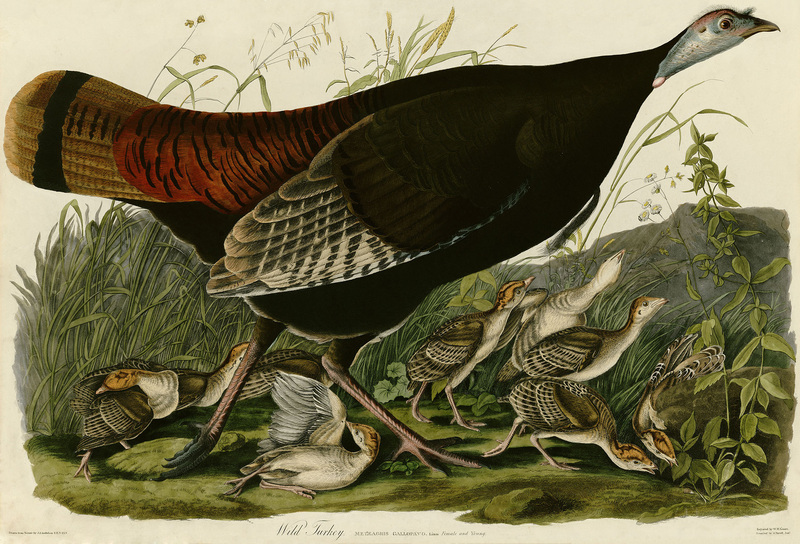 There isn’t much immediate information regarding the Frederik Kielsen, but I liked his image. 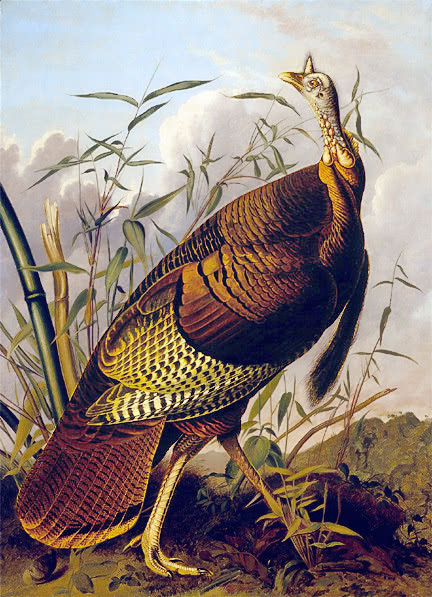 Of course, this wouldn’t be a proper American bird post without Audubon’s take. So there you go! 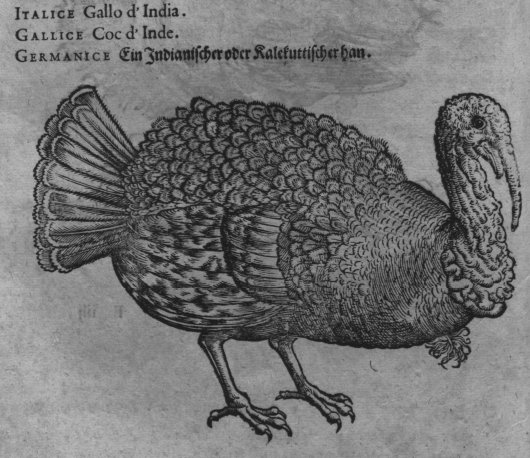 A history of turkeys via images in scientific texts!